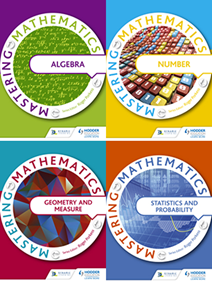 Take a look at our guide to KS3 Mastering Mathematics to see how the resources can help your classes. Then browse through the free print and online resources to try it out for yourself! 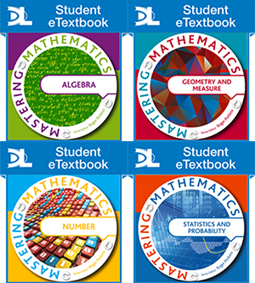 Mastering Mathematics for OCR and Edexcel GCSE use the same progression strands so that your students can seamlessly move from KS3 to KS4, delivering a five year progression programme. For more information, download our 5 year progression plan. Our progression pathway chart shows how the Mastering Mathematics strands are mapped to the new curriculum. The 2014 curriculum focuses on developing fluency, mathematical reasoning and competency in solving increasingly sophisticated problems, building on their knowledge from KS2. 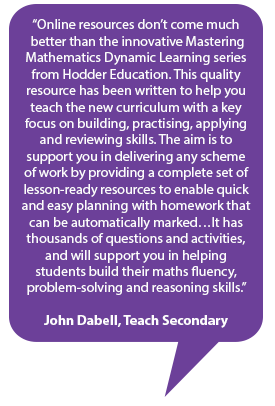 Our KS3 straight-forward, easy-to-use package helps you deliver this and fits in with your way of teaching: Download the DofE Maths KS3 curriculum document. 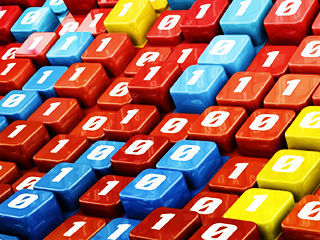 Interactive eTextbooks are perfect for whole class teaching. 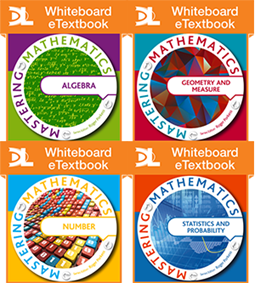 Teaching & Learning Resources supports you in delivering any scheme of work.